Two-Time Grammy nominee Gerardo Ortiz, first made an impact by revolutionizing the corrido genre. From there, he transformed Regional Mexican and Latin music, becoming a cultural and fashion icon in the process. Gerardo Ortiz has dominated the Mexican music charts for years with his romantic and lively sound and will now tour the US. The American born artist has become well known for making his mark in the Regional Mexican genre. Since his first live album, En Vivo Las Tundras, which was released in 2009, Gerado has received many accolades. A year after the albums release he received a Grammy nomination for Best Norteno Album for his debut studio album Ni Hoy Ni Mañana. He also received Male Artist of the Year, Norteño Album of the Year, Norteño Artist of the Year, and Artist of the Year at the 2013 Mexican Billboard Music Awards. Gerado has been noted for how his beautiful voice contrasts with his lyrics that sometimes deal with serious subject matters and for his work in the corrido genre. Seen Gerardo Ortiz? Loved it? Hated it? Sound good to you? 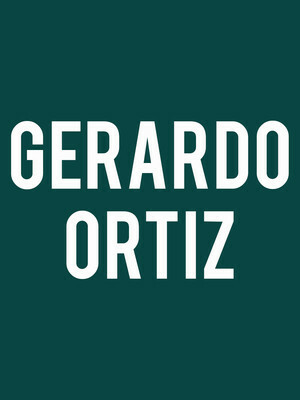 Share this page on social media and let your friends know about Gerardo Ortiz at Cedar Park Center. Please note: The term Cedar Park Center and/or Gerardo Ortiz as well as all associated graphics, logos, and/or other trademarks, tradenames or copyrights are the property of the Cedar Park Center and/or Gerardo Ortiz and are used herein for factual descriptive purposes only. We are in no way associated with or authorized by the Cedar Park Center and/or Gerardo Ortiz and neither that entity nor any of its affiliates have licensed or endorsed us to sell tickets, goods and or services in conjunction with their events.